We’re all over the web and social media. Chances are there’s a place you like to hang out and we’re there. Connect with us, stay up on our daily posts, our latest news, moments of wisdom, inspiration and even a laugh or two. You’ll find us on the following social networking sites, the web and email. You can also order a personal reading through the Services at Spring’s Haven. We offer both in-house and phone/skype consultations. As a Ministerial organization, all our consultations are private. We understand that people have many reasons for wanting to make a donation. Whatever your reason, we are humbled by your generosity and thankful for your gift. We have a special page on Spring’s Haven where you can make Secure Donations through PayPal in any amount. You DO NOT need a PayPal account. © 2013-2019 Springwolf, D.D., Ph.D. Springwolf Reflections / Springs Haven, LLC. All Rights Reserved. 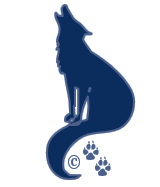 This entry was posted on Springwolf Reflections, View all posts in the ContactUs. This post was tagged in: Springwolf, Reflections, Author, Teacher, Spiritual, Pagan, Metaphysics, Shamanism, Reiki, Master, Psychic, social, media, Twitter, Facebook, Google+, LinkedIn, Goodreads. My name is Candace Day my question is how come some people get spiritual attachments. For me I’ve getting numerous spiritual attachments I’m healthy psyhically occasionally I get depressed but it seems to me after my ex boyfriend put a spiritual type of bind to and enity I kept getting th ese attachments even though I got it removed(th at particular one) I still.get them. Why is that? No one can “bind” you, unless you allow it to happen. If you buy into it, you’re allowing the intended affects into your life. So first, I’d suggest doing a personal cleansing. See the “The 5 Minute Protection Meditation – Clearing The Negative and Setting Protection” ritual on the A-Z Listing page here on Reflections. I’m not sure what you mean by “spiritual attachments”, but I’m going to take a guess that you feel spirit around you. If that’s what you mean, this probably has nothing to do with your ex. We all have the ability to feel spirit. Most people ignore those feelings. Could be you’ve simply reached a point in your life where your interest in the spiritual world has opened your senses and you can now “feel” the presence of these subtle energies. You can conduct this same meditation ritual, once a week, to set up a shield of protection. Then it’s up to you when you want to open the door and communicate with them or not. Thank You for sharing this information. My journey into recognizing my beliefs has been hindered by so much misinformation. I find this is true for so many. I am glad to have a website I can point others to for clarity. Thank you for the kind words Kate.